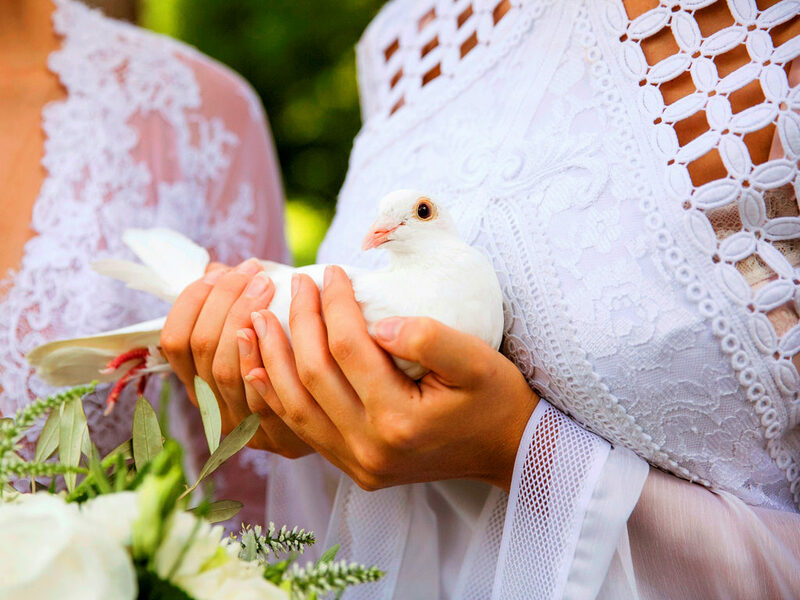 A dove release ceremony symbolises the sharing of Peace and Love on your wedding day. 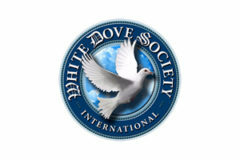 We provide, professional dove releases at weddings throughout Brisbane North and the Sunshine Coast. 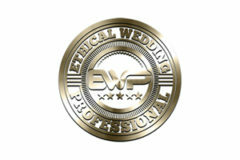 We have various packages that add beauty and joy to an already happy occasion. Whichever package you choose for your day, you can rest assured that we will ensure that our services fit seamlessly into your arrangements with the professional and accommodating approach you would hope for. I just want to say thank you so much, you made our day extra special. Your doves are beautiful, and I hope you are proud of your work as I was over excited to have the experience of holding your beautiful birds. Thanking you for your professional service. 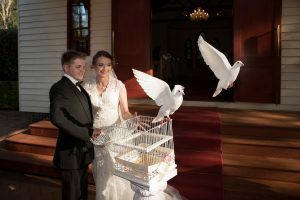 Thank you for bringing your beautiful doves, the display & set up were gorgeous. I was impressed with how you worked in with the other wedding suppliers.